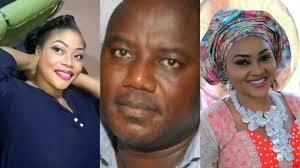 Mercy Aigbe's estranged husband, Lanre Gentry was arraigned before an Ogba Magistrate court on a three count charge offence bordering on breach of public peace, assault and causing grievous bodily harm on his wife on the 9th of may. He entered a not guilty plea and the presiding magistrate, Mrs O. Aje-Afunwa granted him bail in the sum of N500,000 with two sureties in the like sum. Both sureties were to show proof of tax payment and own a verifiable house in Lagos with title documents. Gentry was earlier remanded in Ikoyi Prison as he couldn't meet up with his bail conditions. He has now been released. 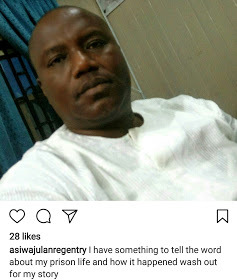 This he confirmed in a post on Instagram (even after denying ever being in charge of any social media account) and has promised to grant an interview to reveal his experience in Prison.